Home » Kids Camp Radio! CJSF's Kids Campers Take over the Airwaves! At CJSF's Radio Kids Camp, participants aged 8 to 12 have the opportunity to produce their own show and learn about recording, sound editing, sound effects and DJ-ing – all while enjoying familiar summer camp activities like workshops, games and field trips to local cultural venues and media outlets. 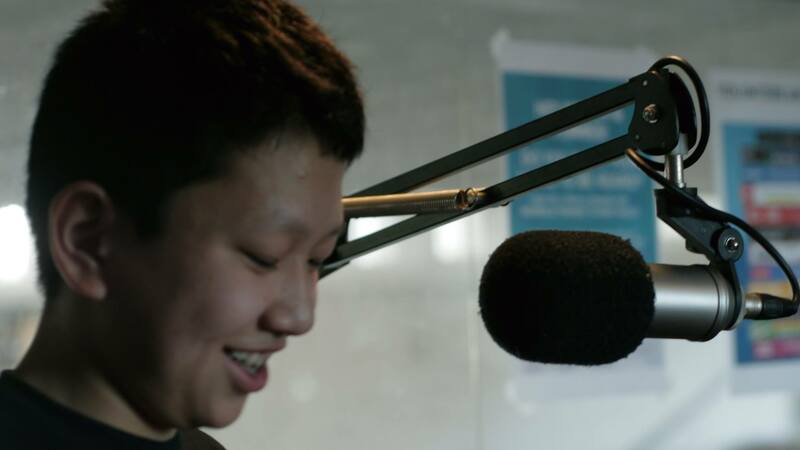 At the end of the week, Radio Kids Camp participants create their own live radio program on CJSF, playing music that they choose and broadcasting the stories that they have created during the week. Throughout the week, campers learn radio journalism skills that will aid them in thinking critically about the world and creatively expressing their passions and ideas.